Portico, Studio of Augustus Saint-Gaudens, Cornish, N.H. This is a gorgeous B&W, the shadows and the many shapes are so good. We have a city called Saint-Gaudens, in south-west of France, near Toulouse! 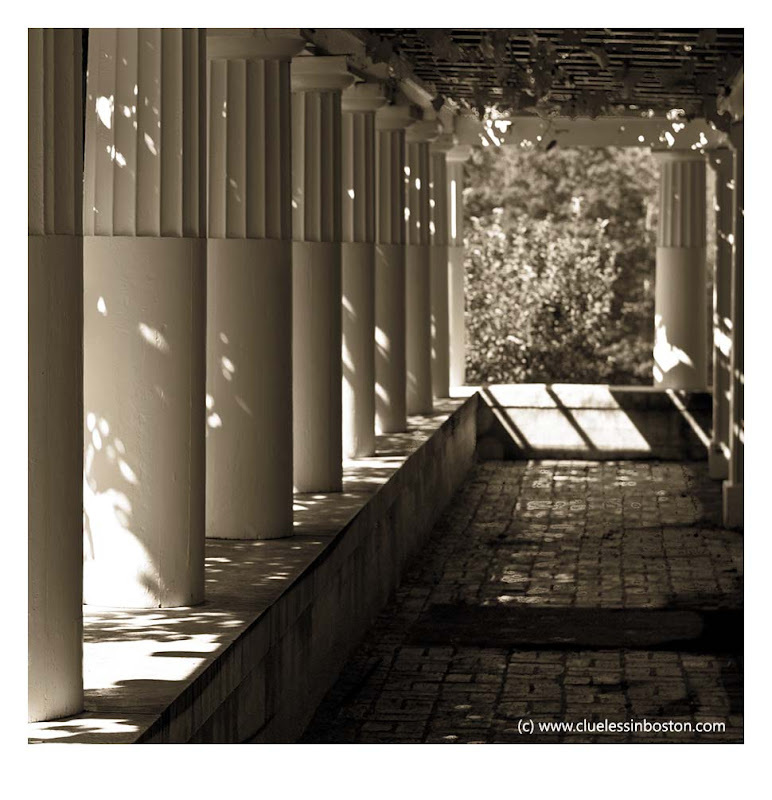 Pretty mood here, a quiet corner of a sunny garden..
Amazing columns there and I love the lights and shadows in this picture! Lovely perspective and the sepia is perfect. So serene. Sepia was the right idea. I have never been to the Saint-Gaudens studio. It should go on my bucket list. Oh, okay you can turn trellis into an adjective like that. It surely is a most attractive image - the essence of cool.